Now you can listen to JANET LAURENCE and MCA Chief Curator Rachel Kent as they share insights on the making of Janet Laurence: After Nature. With a relationship spanning over two decades, Janet and Rachel explore key ideas that have shaped the artist's practice. During the conversation, they discuss Janet's passion for nature as well as her unique interdisciplinary and collaborative approach to art. This conversation was part of the Museum of Contemporary Art Australia’s public programs for Janet Laurence: After Nature exhibition. For more information on the exhibition and upcoming events, click here. JANET LAURENCE - After Nature is creating quite a buzz in the media. Here's a list of recent national and international publications Janet has been featured in, regarding her current solo exhibition at the MCA! Alongside the exhibition Janet Laurence: After Nature, there is a series of public programs, including: Talking Trees a collaboration with Sydney University where philosophers, poets and scientists bring aspects of trees to a public audience; and Janet Laurence's interactive (Desire) Elixir Lab' a performative installation which was recently shown at the Inhotim Institute, Brazil. 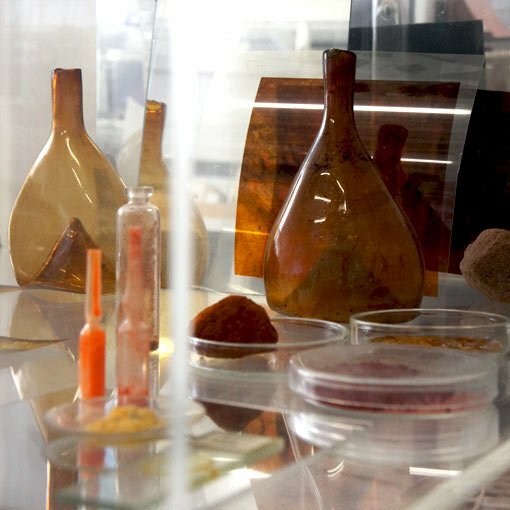 Desire (Elixir Lab) is a unique sensory experience that involves the tasting of medicinal plants in the form of liquid elixirs. Facilitated by a botanist performer, participants gain insight into the cultural and biochemical connections between the body and plants. Janet Laurence in her Sydney studio. Photograph: Jacqui Manning. Courtesy the Museum of Contemporary Art, Sydney. JANET LAURENCE is renowned as one of Australia’s leading contemporary artists. Her ground-breaking practice responds to the cry of the natural world and addresses our relationship to nature. Laurence creates visually immersive environments forcing us to reflect on the mutability of nature, science, memory and loss. Through her extraordinary work, Janet Laurence offers us a deeply experiential and cultural relationship to the environment. From March 1 - June 10, 2019, the MCA will present Janet Laurence: After Nature, a major survey exhibition of Janet Laurence's oeuvre. Curated by Rachel Kent, the exhibition will encompass three decades of Laurence’s unsurpassed practice, including key chapters such as Vanishing, Forensic Sublime, Birdsong, Deep Breathing and Cellular Gardens alongside Theatre of Trees, a new work that addresses our cultural, political and biological relationship to trees. Janet Laurence: After Nature will explore the critical issues facing the environment and the natural world: the epoch of the Anthropocene. For Laurence, “the ecological crisis demands us to shift our focus from a human-centred perspective to a broader multi-species, environmental approach”. Within the recognised threat to so much of our world, this exhibition explores what it might mean to heal, albeit metaphorically, the natural environment, fusing this with a sense of communal loss and search for connection with powerful life-forces. Alongside the exhibition, there will be a series of public programs, including: Talking Trees, a collaboration with Sydney University where philosophers, poets and scientists bring aspects of trees to a public audience; and Janet Laurence's interactive The Elixir Lab, a performative installation which was recently shown at the Inhotim Institute, Brazil. Janet Laurence is a Sydney-based artist who exhibits nationally and internationally. Her work is included in museum, university, corporate and private collections as well as within architectural and landscaped public places. Key collections include: NGA, Canberra; AGNSW, Sydney; NGV, Melbourne; QAG, Brisbane; AGSA, Adelaide; Artbank Australia; Macquarie Bank Collection; and Kunstwerk Summlung Klein, Germany. Recent significant projects include: Listen, to the Sound of Plants, Australian Tapestry Workshop, Melbourne (2017); The Pleasure of Love, October Salon, Belgrade (2016); Deep Breathing: Resuscitation for the Reef, for the Paris Climate Change Conference (2015) and the Paris International Contemporary Art Fair (2015), followed by the installation Deep Breathing at the Australian Museum, Sydney (2016); Tarkine for a World in Need of Wilderness, Macquarie Bank Foyer, London (2011); In Your Verdant View, Hyde Park Building, Sydney (2010); Waterveil, CH2 Building for Melbourne City Council; Memory of Lived Spaces, Changi T3 Airport Terminal, Singapore; Elixir, permanent installation for Echigo-Tsumari Art Triennial, Japan (all 2006); The Australian War Memorial (in collaboration with TZG Architects), Hyde Park, London (2003); In the Shadow, Sydney 2000 Olympic Park, Homebush Bay (2000); Veil of trees, Sydney Sculpture Walk (with Jisuk Han); 49 Veils, award-winning windows for the Central Synagogue, Sydney (with Jisuk Han, 1999); The Edge of the Trees (with Fiona Foley), Museum of Sydney (1994); and The Tomb of the Unknown Soldier, Australian War Memorial, Canberra (with TZG Architects, 1993). Laurence has been a recipient of Rockefeller, Churchill and Australia Council fellowships; recipient of the Alumni Award for Arts, UNSW; and is currently visiting fellow at the NSW University Art and Design; Australian representative for the COP21/FIAC, Artists 4 Paris Climate 2015 exhibition; visiting fellow of the 2016/2017 Hanse-Wissenschaftskolleg (HWK) foundation fellowship; and artist in residence at the Australian Museum. Her work, The matter of the masters, was recently shown at AGNSW in association with the Rembrandt and Dutch Masters exhibition. The Museum of Contemporary Art Australia has announced its 2019 exhibition program, with a major solo exhibition by Janet Laurence. In March, Janet Laurence, one of Australia’s key creative minds, will present After Nature, a major mid-career survey exhibition examining the critical issues facing the environment and the natural world. The exhibition will feature work from throughout her oeuvre, as well as a selection of new works. JANET LAURENCE's wondrous The Elixir Lab is installed at the Inhotim Institute, Brazil as part of Between Subjects and Collectiveness. This major performative installation encourages viewers to taste a range of plant-infused elixirs, offering knowledge of medicinal plants and an intimacy with the natural environment. The 4th International Education Seminar in Brumadinho, Minas Gerais, Brazil is focused on transformations subjects go through and their relationship with the environment in which they live. With guests from Brazil, Argentina, Austria, Chile, Colombia, India and Russia, the seminar proposes a reflection on the separation between the social and environmental dimension in contemporary life. Janet Laurence, What Colour is the Sacred? (Black) (detail), 2018, plywood, acrylic, mirror, details of Karel Dujardin ‘Self-portrait’ 1662 printed on archival cotton rag, Oil glaze on acrylic, Carbon, bone, charcoal, ink, pigment, scientific glass, Barite, Goethite, Hematite, 45 x 60 x 45cm. JANET LAURENCE has been invited to speak at 'Between Subjects and Collectiveness' at INHOTIM Institute, Brazil on 13 September 2018. The 4th International Education Seminar at Inhotim is focused on transformations subjects go through and their relationship with the environment in which they live. With guests from Brazil, Argentina, Austria, Chile, Colombia, India and Russia, the seminar proposes a reflection on the separation between the social and environmental dimension in contemporary life. Panel Discussion 13 September | How can art question subject –environment relations? Laurence’s recent body of work investigates the intersection of art, science and nature through an analysis of artists’ materials and their origins. With a specific focus on the work of Rembrandt and other Dutch masters, Laurence explores the ‘physiology of a painting’ in her modular vitrines and haunting images derived from botanical illustrations and x-ray fluorescence scans. The exhibition harks back to the artist’s earlier alchemical works (with her research beginning 12 years ago) and reveals a view of colour from its source in the nature of the world. 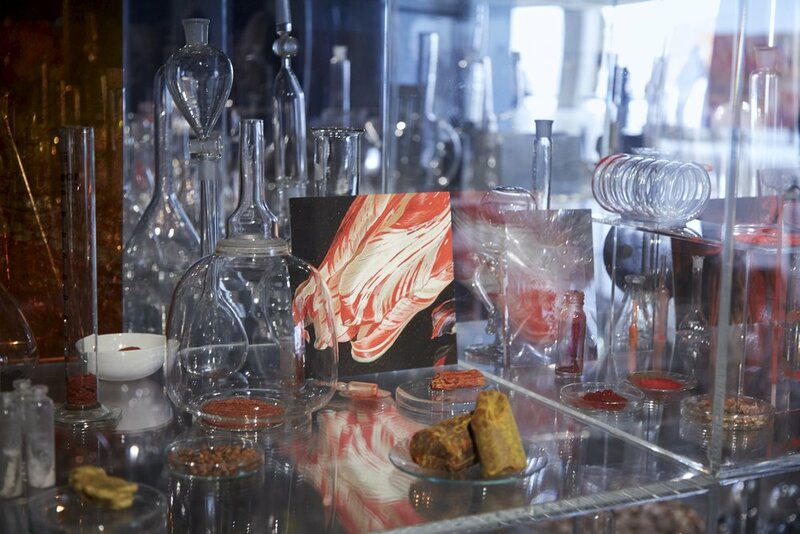 From natural history collections she has sourced raw pigments and binders, commonly found in paintings, and presents these substances as scientific experiments or specimens in individual ‘cabinets of curiosity’. Interested in a scientific analysis of colour, Laurence likens her contained installations to an anatomy lesson, or a ‘medical examination’ of paintings. Elements such as eggshells, bone, and minerals are gathered, revealing the organic origins of the old masters’ materials and how they were subsequently transformed into powerful human stories and cultural objects. In providing an artistic interpretation of the palette of this era, Laurence stresses that all matter stems from the environment and that nature and culture are deeply entwined. The exhibition also features Laurence’s iconic mixed-media wall work, including a long frieze with a series of panels moving between fluids and images, matter and light, fractured and fragile landscapes. Her Plants bleed lakes depicts a spectral range of colours sourced from plants paired with their botanical illustrations to reveal the scientific roots. Colours created by plants, often referred to as ‘lakes’, are transparent and fugitive by nature, like nature. Taking her title from Michael Taussig’s book of the same name, Janet Laurence’s What Colour is the Sacred? is an intelligent and beautiful meditation on the mysteries of colour, creative alchemy, and the enduring primacy of the earth. Janet Laurence is a Sydney-based artist who exhibits nationally and internationally. Renowned as one of Australia’s leading contemporary artists, her practice examines our physical, cultural and conflicting relationship to the natural world. She creates immersive environments that navigate the interconnections between organic elements and systems of nature. Within the recognised threat to so much of the life world, she explores what it might mean to heal, albeit metaphorically, the natural environment, fusing this with a sense of communal loss and search for connection with powerful life-forces. Her work is included in museum, university, corporate and private collections as well as within architectural and landscaped public places. Key collections include: NGA, Canberra; AGNSW, Sydney; NGV, Melbourne; QAG, Brisbane; AGSA, Adelaide; Artbank Australia; Macquarie Bank Collection; and Kunstwerk Summlung Klein, Germany. Janet Laurence, Maker of the Masters II, 2018, acrylic, wood, mirror boxes x 5 boxes (containing scientific glass, minerals, pigments, shells, egg shell, C type silver halide print on watercolour paper, C type silver halide, print on clear polyester, Dye Sublimation archival print onto Chromaluxe aluminium. Plant specimens, wax, lead,bones, charcoal gold leaf). Photograph: Christopher Snee. Coinciding with her exhibition The matter of the masters, currently showing at the AGNSW, JANET LAURENCE be participating in two public programs this month. Firstly, Laurence will present a talk with Petria Noble, head of paintings conservation at the Rijksmuseum, about Rembrandt’s studio practice and as well as Laurence’s own practice. The talk will be held Wednesday 14 February, 5.30pm. Secondly, the AGNSW will be holding a film screening of The life world. Filmed over several years in the early 2000s, this documentary is a fascinating insight into the work of Janet Laurence, tracing the inspiration and creation of her major public installations. The screening will be held on Sunday 4 February, 10:45am. Janet Laurence, Untitled, 2017, acrylic over mirror, 500 x 500mm. JANET LAURENCE will be participating in the group exhibition All We Can't See: Illustrating The Nauru Files. The exhibition involves over 30 leading Australian and International artists illustrating the stories unearthed in The Nauru Files, illuminating the human cost of Australia’s offshore detention policies. 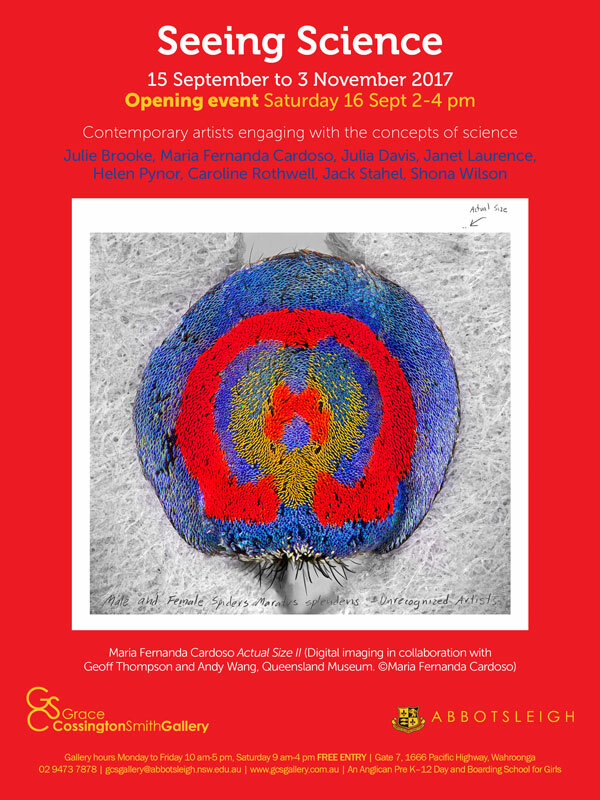 The exhibition runs 2–10 February 2018 at The Yellow House Gallery, Sydney. Georgina Reed has written an article about JANET LAURENCE for The Plant Hunter. 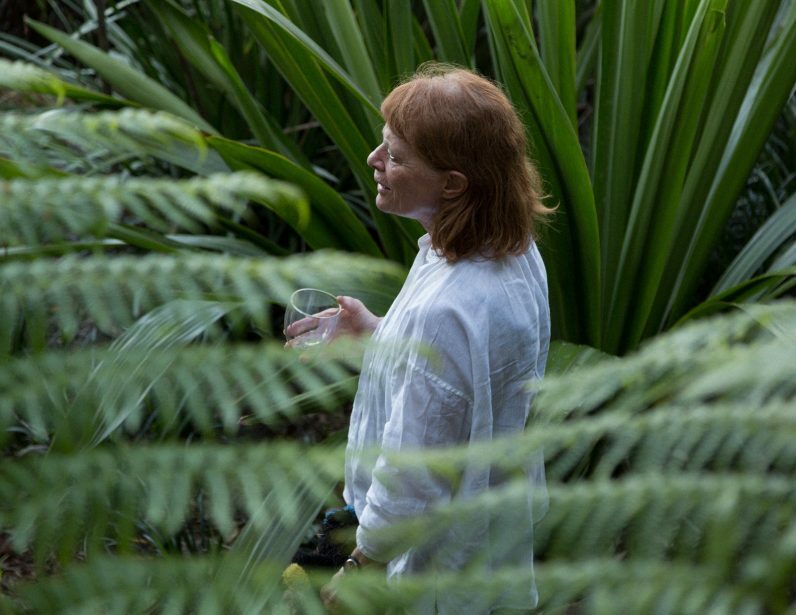 In their conversation they discuss LAURENCE's relationship with nature, her practice and the value of gardening. JANET LAURENCE's work Forensic Sublime (Crimes against the landscape series: Styx Forest) 2008, will be included in Framing Nature at McClelland Gallery, 26 November 2017 to 18 March 2018. The exhibition presents works from McClelland's historical collection and recent acquisition along with key loaned works, to explore diverse visual and conceptual approaches to landscape and nature. Janet Laurence, Forensic Sublime (Crimes against the landscape series: Styx Forest), 2008, mirror, oil glaze, Duraclear on Shinkolite 100.0 x 455.0cm. Collection of McClelland Sculpture Park+Gallery. JANET LAURENCE: The matter of the masters will soon be on display at the Art Gallery of New South Wales. Inspired by research and analysis undertaken on Dutch paintings in the Rijksmuseum in the Netherlands by conservators, Laurence will present a magnificent cabinet of curiosities that probes the intersection between art, science and nature in the work of Rembrandt and other Dutch masters. The installation will be on view from 11 November 2017 to 18 February 2018, to coincide with the major blockbuster, Rembrandt and the Dutch Golden Age. An artist talk will be held on Saturday 11 November 2017 at 2pm. Janet Laurence will also be in conversation with Jordan Richardson on Wednesday 15 November 2017, 6 - 6:30pm at the Art Gallery of NSW. JANET LAURENCE is exhibiting in Landscapes of Loss at Berlin's Ministry of Environment for the UN Conference on Climate Change. The exhibition brings together ten artists who address mankind's role in relation to the environment through video, photography and sculpture. The exhibition is from the 2 - 5 November, 2017. We are pleased to announce that ARC ONE will be part of this year's Sydney Contemporary with works by Peter Daverington, Murray Fredericks, Janet Laurence, Robert Owen, Nike Savvas, Cyrus Tang and John Young. The art fair will take place from 7- 10 September at Carriageworks. JANET LAURENCE is currently in a group exhibition titled Moving Plants, at Rønnebæks Holm, Denmark. Curated by Line Thorsen, Moving Plants is an exhibition that centres on plants as a focal point for making local and global connections between aesthetic engagements with ecological issues and practices of concern. Laurence's work is on view along with Watanabe Koichi, Yukiki Iwatani, Yeung Lin On, Camilla Berner, Wai Yi-Lai, Åsa Sonjasdotter, and Karin Lorentzen. Exhibition dates: 1 July to 24 September 2017.